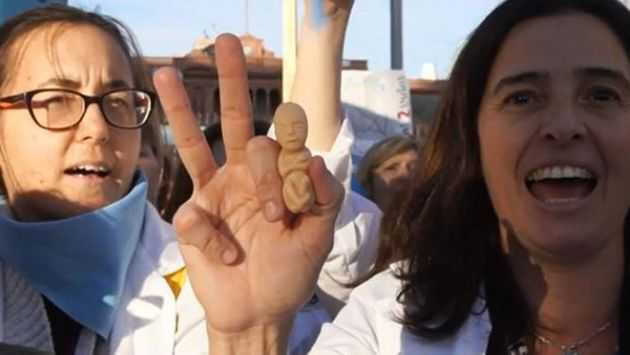 (Evangelical Focus) — Hundreds of Argentinian doctors recently took the streets to protest against the abortion bill that passed the lower house in June and will be debated on Aug. 8. During the protests, many doctors held signs with the message, “I’m a doctor, not a murderer.” Some said they would rather go to jail than kill unborn babies in abortions. “How far are we willing to go to? Jail,” said Ernesto Beruti, chief of obstetrics at the Austral University Hospital. Even if the law is passed, “I’m not going to eliminate the life of a human being. The most important right is the right to live,” he added.